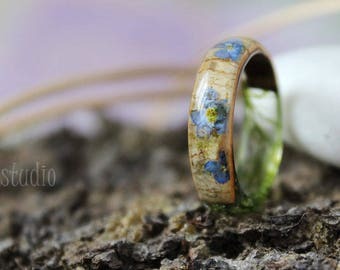 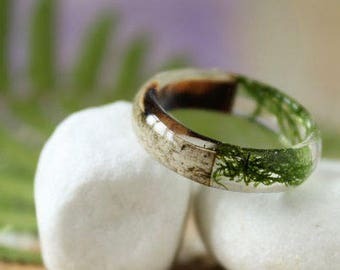 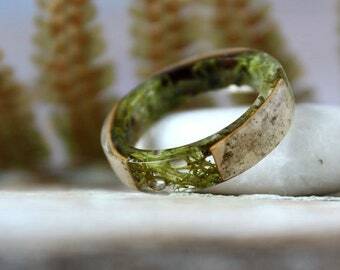 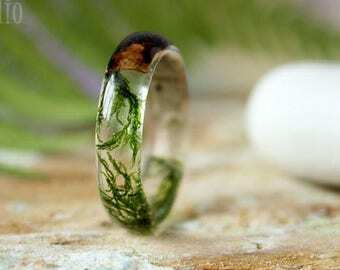 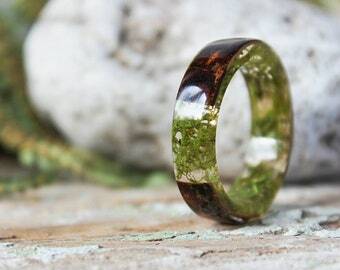 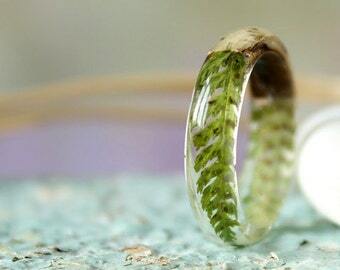 Vesnastudiooo's New collection of resin rings using different kind of metals as part of the form and natural plants inside. 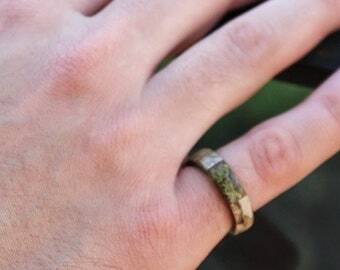 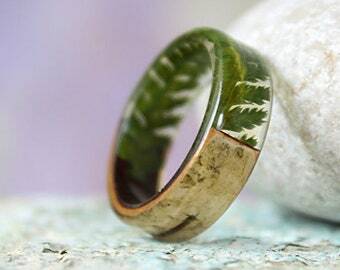 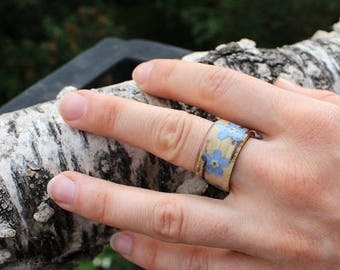 These rings are durable and can be engraved. 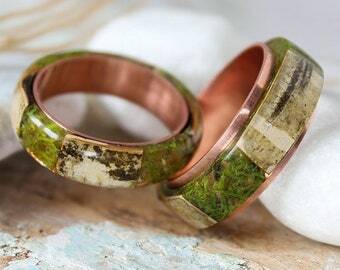 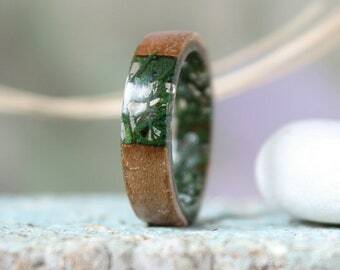 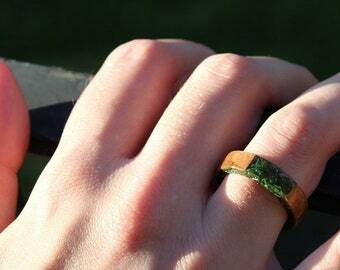 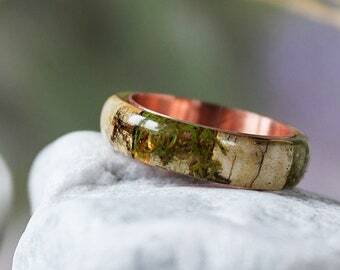 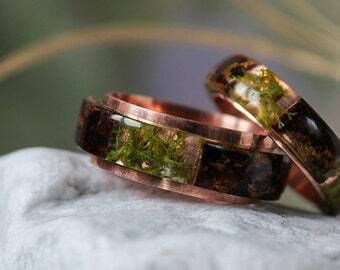 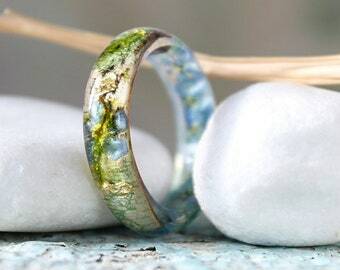 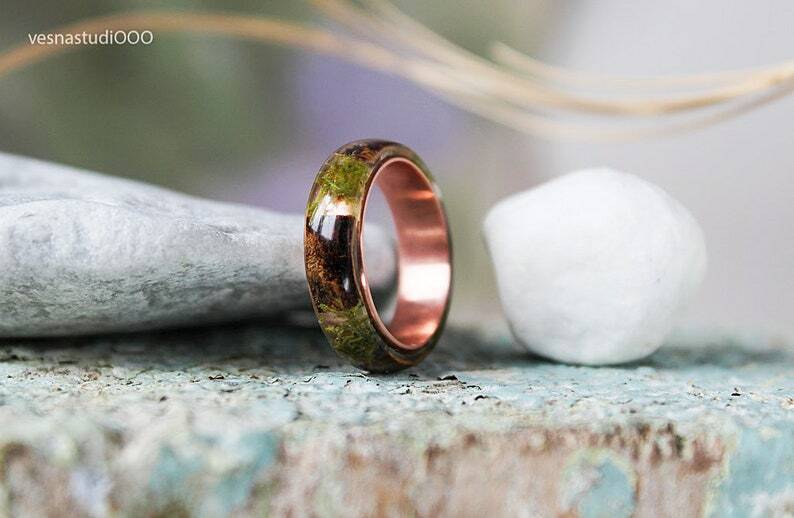 The rings are available in copper and silver.